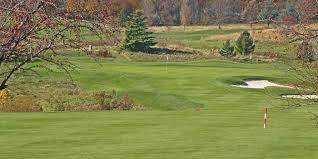 Little Bennett Golf Course is an 18-hole regulation length golf course in Clarksburg, Maryland. This medium-length layout has adequate length for a regulation course. Overall this course plays quite difficult, at least from the back tees it does. Trouble surrounds many of the greens. Online tee times may be available at Little Bennett Golf Course or at nearby golf courses, often at a substantial discount from the going green fees rate. Note: The data is typically correct, however, sometimes there will be errors. If you find something that needs to be updated, please point it out to us here. 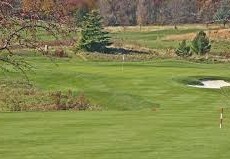 There is a Yelp.com page for "Little Bennett Golf Course - Clarksburg, MD"
The score on Yelp is 3.5 out of 5. That score is an average of 22 ratings, and it is rounded to the nearest 0.5. Also note that sometimes Yelp excludes from that score any reviews that that it classifies as "not recommended."